Got a funny memory about the 10 footer at Waimea with Frankenreiter, absolutely loved the 7’5 out at Pipe, and rode the 6’8 a bunch. 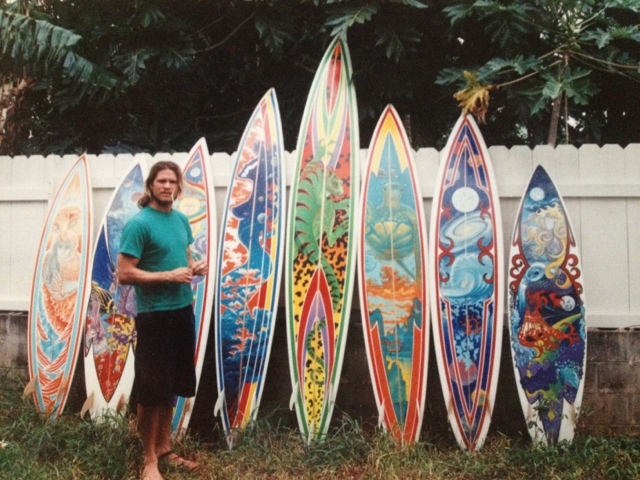 Wish I still had these babies, this is the only photo i have of this quiver. I only have the 7’5 so if anyone has one of these I would be stoked to buy back.